In the wake of budget cuts and reduced spending for the US Military by the Pentagon, Northrop Grumman announced closures at two Southern California sites (Carson and Woodland Hills) and the Salt Lake City, Utah facility. The Carson, CA site, also referred to as the Dominguez Hills facility, was built in 1987 for TRW Inc. and was acquired by Northrop in 2002. This facility was part of Northrop’s Information Systems sector, and supported development and integration of the company’s C4I command and control communications technology. The closures at the two California sites will affect nearly 800 workers, including engineers and scientists. Northrop is one of the largest single employers in Los Angeles, with almost 18,000 in the local work force. Reorganizations at these sites, as well as across the other Northrop facilities, is anticipated to save over $73 Million in the coming years. The announcements coincide with similar cut-backs from their competitor Raytheon. Consolidating these centers of excellence will improve our strategic alignment with our customers’ need for increasingly innovative and affordable products, services and solutions. We continuously examine our operational capacity to determine how we can leverage it in the most efficient and cost-competitive manner. Given the current budget environment, it is imperative that we act to enhance future performance, innovation and affordability for our customers. The “centers of design and integration excellence” that Mr. Bush referred to include aerospace systems, manned aircraft, unmanned systems and electronic attack businesses. The Aerospace Systems is based at another facility located in Redondo Beach, CA. The company said its Manned Aircraft Design Center of Excellence will be located in Melbourne, Florida. It’s expected that on-going aircraft design work currently being performed at the Bethpage, NY facility will also move to Melbourne. Northrop’s B-2, F/A-18 and F-35 programs will remain in Palmdale, El Segundo and Redondo Beach, respectively. 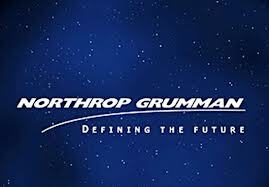 The Unmanned Systems will be located at Northrop’s Rancho Bernardo facility near San Diego, CA. An Electronic Attack Center of Excellence will be located in Bethpage, NY. Palmdale was named as the location for one of two Aircraft Integration Centers of Excellence. A second was named in St. Augustine, FL. Overall, the reduction in Pentagon expenditures is expected to reach $500 Million in the coming decade. As the largest buyer for US Military goods, these spending reductions are forcing the defense contractors Northrop Grumman, Raytheon and others to consolidate their business for cost savings.